Home News Winner of our Quilt Raffle! Congratulations to the winner of the quilt that was donated to us by the Grimsby Quilters’ Guild. 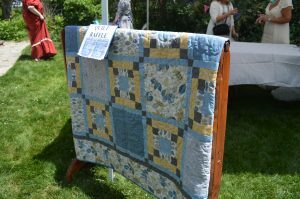 The Quilt was won by Ann Glass of the Halton Quilters’ Guild!